Most weeks you’ll hear me talking about how to invest your money and make it grow, more specifically the best ways to grow retirement portfolios. 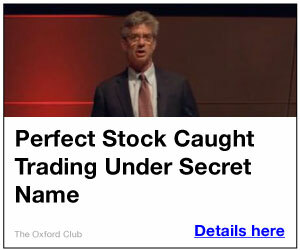 I know that’s a big concern for a lot of investors. Most of us spend decades worrying that we aren’t putting enough money in and won’t have enough money to retire on. Today I want to focus on the other side of that discussion-pulling our money out of our retirement accounts. The second biggest worry for investors, behind accumulating enough money to retire on, is outliving our money. You’ve probably seen those commercials asking if you know the magic number you need to retire. Insurance and financial companies are really good at getting us all worked up about not having enough money to retire on. You’ll find plenty of companies telling you how you should grow your money. The problem is there isn’t as much information out there about the best strategies to withdraw our money in retirement. It can be hard to navigate the transition from account supplier to account subtractor. Adding to the stress is all of the variables that can affect the amount of money we need in retirement. Many people seem to be dealing with the uncertainty by working longer or continuing to work part-time in retirement. But for those who are looking for a more relaxing retirement, there is hope. I want to review with you the top four strategies to ensure you never run out of money in retirement. By the end of this article you’ll know how to pull out your money in retirement so that you’ll have enough livable income each year without depleting your nest egg. The secret to making your nest egg last is not how much you’ve got, but how well you manage your cash flow. If you manage it properly you can withdraw a percentage of your nest egg yearly without dipping into your nest egg too much. The four percent rule was created to do just that. This retirement withdrawal method was devised in the ‘90s by California financial planner William Bengen. Mr. Bengen analyzed historical returns of stocks and bonds and found that properly proportioned financial portfolios could sustain withdrawal rates starting at 4.15% and adjusted annually for inflation for every 30 year span going back to 1926. 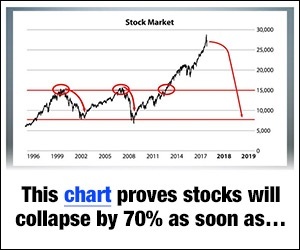 For example, if you’ve got a retirement portfolio worth $1,000,000, you could withdraw $40,000 (four percent of a million dollars) a year, and add an additional $1200 the second year (using the standard three percent inflation rate) and so on. Assuming a conservative eight percent return on your overall portfolio, that four percent annual withdrawal rate will allow you to draw only from earnings without depleting your principal. If you don’t earn eight percent return a year, you’ll dip into your nest egg but you could be confident that you won’t run out of money for thirty plus years in retirement. Not too shabby. That’s probably why this is the most popular withdrawal method for retirees. Baby boomers afraid out outliving their money are especially drawn to this method. Knowing you have enough money to last you for 30 plus years in retirement is very calming. Critics of the four percent rule say that this approach is too rigid. As we’ve seen over the last four years markets can shift wildly. Given strong markets, investors using that withdrawal method may wind up with lots of extra money they could have used to lead fuller, more enjoyable lives in retirement. On the other hand, weak markets like the one we saw in 2009 could lead investors short on cash and running out of money before they expire. A slightly different approach to using the four percent rule relies on those market fluctuations. Unlike the four percent rule, this approach adjusts withdrawal amounts based on market performance. If the market goes well and the portfolio grows, the withdrawal is larger. If the market tanks and the portfolio shrinks, the withdrawal is smaller. Let’s use the example from earlier to illustrate how this method works. A four percent withdrawal amount from a $1,000,000 nest egg is $40,000. If the markets do well one year and increase this investor’s retirement account to $1.1 million then he could receive $44,000 that year. That works out to a $333 a month boost in income. On the flip side if the markets perform poorly the investor’s portfolio could slip and lose value. A 10 percent drop will make this investor’s nest egg’s value drop to $900,000. Withdrawing four percent from that value will yield $36,000 that particular year. The upside of this method is that it basically ensures you never completely run out of money. The downside is that the wild market fluctuations from year to year can really impact your income. The idea of having to live on less if the market tanks one year scares retirees. Most want steady income and for that reason annuities were created. An annuity is an insurance product that pays out a steady stream of income for a pre-determined amount of time. Annuities work by you giving a lump sum to the insurance company and in exchange they send you back regular payments for as long as you live. Or you can make premium payouts over a number of years, building up savings. When you retire, the process reverses and the insurance company starts making payments to you. There are two basic types: fixed and variable. Fixed annuities pay a set rate of interest for a set number of years. A variable annuity allows for a payout stream determined by the performance of your annuity’s investments that are similar to mutual funds. The amount of income you receive from your annuity depends on a variety of factors including your age, the length of your payment period, and current interest rates. When interest rates are low, like they are now, the amount of re-payment buyers get goes down. A lot of people like annuities because they guarantee steady income and ensure a retiree never runs out of income. Both of which are high level concerns for retirees. Critics of annuities will point out that they have notoriously high expenses which can whittle down the amount of your re-payments. For those investor’s that want steady income in retirement without having to buy the sometimes risky insurance products like annuities, they should consider building a bond ladder in their portfolios. Bond ladders are fixed income investments in which each one has a different maturity date. Building a bond latter means you’ll buy bonds with increasingly long maturation periods. For example, you might have a number of bonds that mature each year for the next ten years. The purpose of building the ladder is to ensure you’ll always have money coming in from year to year. These are safe investments so investor’s use them when they are afraid of wild market swings that can reduce the size of their nest egg. Of course using bond ladders reduced the growth potential of your investment mix. So don’t put all your nest egg into this one investment vehicle. 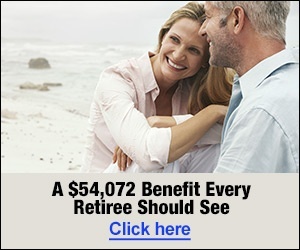 That’s actually good advice for all four of these retirement withdrawal strategies. Investors who choose to use all of these methods over time will benefit the most financially. Given all the variables in retirement spending and length, its best to start off using one of these strategies and regularly revisit your approach as your goals change. 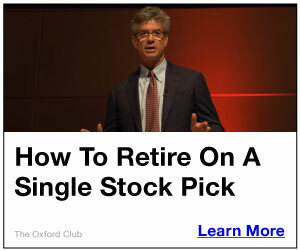 I hope you have a better understanding of how to make your money last long into retirement. Using a combination of these four strategies can ultimately result in larger monthly income and your money outliving you, instead of the other way around.